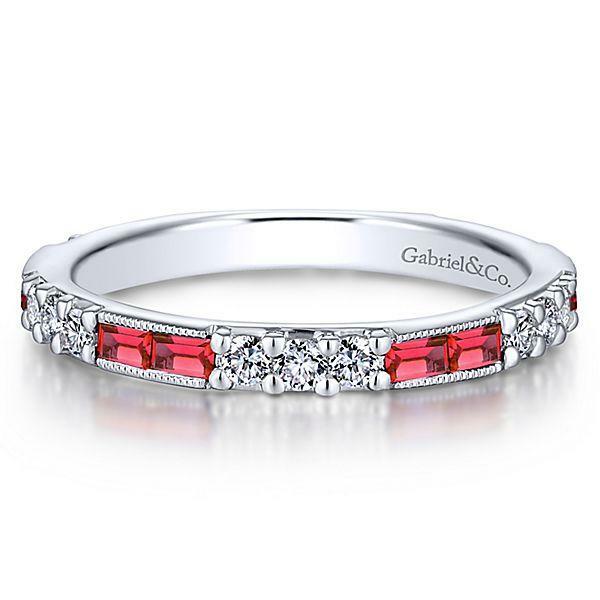 This stackable ring features alternating segments of diamonds and rubies set in white gold. The ring features .39ct of round full cut diamond melee and A quality rubies. NOTE: Size 6.5 finger size in stock other finger sizes gemstones and metals can be ordered.